Whipping cream that you can pipe! Yes, this fabulous recipe will hold it’s shape, and can last for a day in the fridge no problem. I wouldn’t recommend piping all over a cake in the middle of summer, as it’s more of a one go and your done kind of frosting. Lots of piping bag refills, and the heat of your hands will make it lose that firmness, but for a dessert cake like this one, it is perfect. Who doesn’t love the taste a fresh cream? Add everything into the bowl of your electric mixer. Mix on medium until combined. Scrape down the sides of the bowl, and then place mixer on high speed, until the whipping cream forms stiff peaks. This should take approximately 2 minutes. This frosting requires refrigeration, and can last a day or so. How do you make piping gel ? as far as I know, you would have to follow a recipe with gelatin in it. Piping gel can I keep it room temperature? Hi Vanessa! 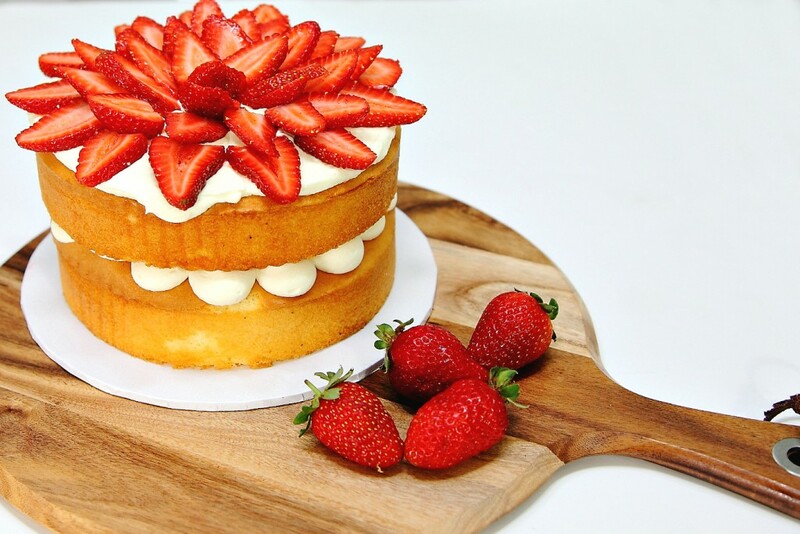 !, I’m kind of new at this, I would like to make a vanilla cake, with cream cheese and marscapone filling, can it use it too, to coat the cake and then put fondant on it? , could I add gelatin to it to make it more sturdy, and how much?, how many hours ahead should I take the cake out of the fridge, before putting the fondant on? And does a 12″ round, 4″ high can feed 40 people?, I’m so glad I found your blog, great information and recipes!, I would really appreciate your in put, thanks!! I wouldn’t use this frosting under fondant, or cream cheese. Sweet buttercream, and some people use swiss or italian, although they too move a lot. I got mine from Cake Decorating Solutions. Hi vanessa, in my country don’t have pipping gel, can I use gelatin powder? yes, but I’m not sure of the amount, it’s a different recipe.